Thinking about trying to make some this weekend, has anyone every had success? I’ve looked at some recipes and videos and it takes hours. Anyone have some recipes they have used before? Go to any asian store and ask. they have a spice packet that you put in the stock with bones. and hours and hours, and you have to source all of the ingredients needed. It's one of those dishes that I've never made for myself because there's so much involved for the end result to be a bowl of soup, so more power to ya if you attempt it. Speaking of power, Powerman had a great thread on this a few years back. Pho is one of those dishes I love (Cioppino comes to mind) that just isn't practical to replicate at home when you can drop $15 after tax and tip to enjoy with all of the fixins. Please report back and good luck. It's not too difficult. You can make it a lot easier with a pressure cooker. Hit up an Asian grocery for the cheap oxtails and short ribs and good fish sauce. I'll make a big batch of broth a couple times a year and freeze it. I have a Vietnamese friend(born in vietnam). He makes his own pho. I asked him for recipe and he told me to get this. Not much of a difference between this and restaurant. And it lasts forever. Like 1 tsp/tbsp per 8 Oz of water. Went to Asian market. Walked around for a solid half hour cluelessly. Asked for help. Language barrier. Walked around more. Decided I couldn't find what I needed there, so I went to another Asian market. Walked around for a solid half hour cluelessly. Asked for help. Language barrier. Walked around more. Found some pho mix. Bought it. Got home. Put bones in the oven to roast for an hour plus. Afterwards used mix and simmered with bones and assorted seasoning agents for two hours (maybe more, I forget). Prepped other ingredients. Hours later assembled bowl of pho. Ate. Felt tremendously disappointed. Calculated dollar value of what I did. Could have bought like a dozen bowls at a restaurant, and saved so much time. Swore off the experience entirely. But I bet if you stuck with it and really figured it out, you could do the broth in massive batches and freeze it in a way that would be both economically and chronologically effective. But basically what I was left with was like a gallon or so of mediocre pho that I didn't really want to eat that took me way too much time to make. So since then I've just enjoyed it at restaurants. 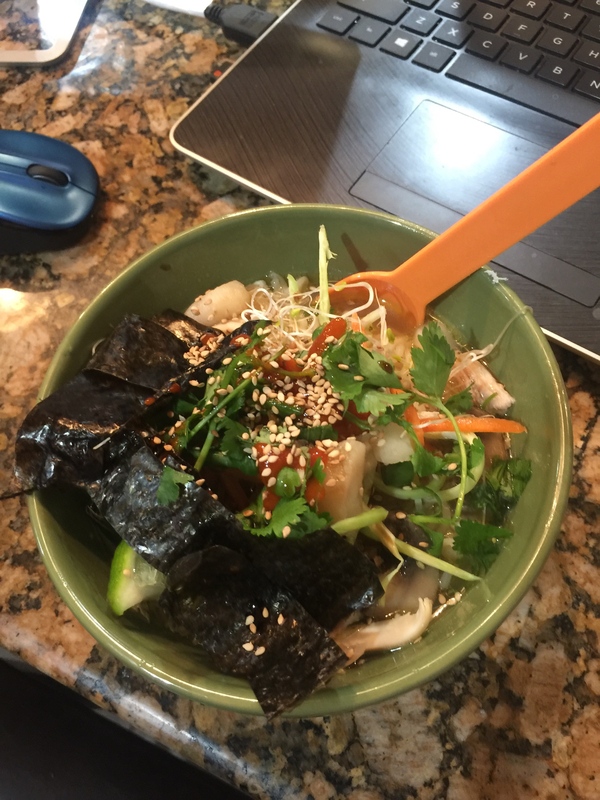 I make a faux pho (or faux ramen). 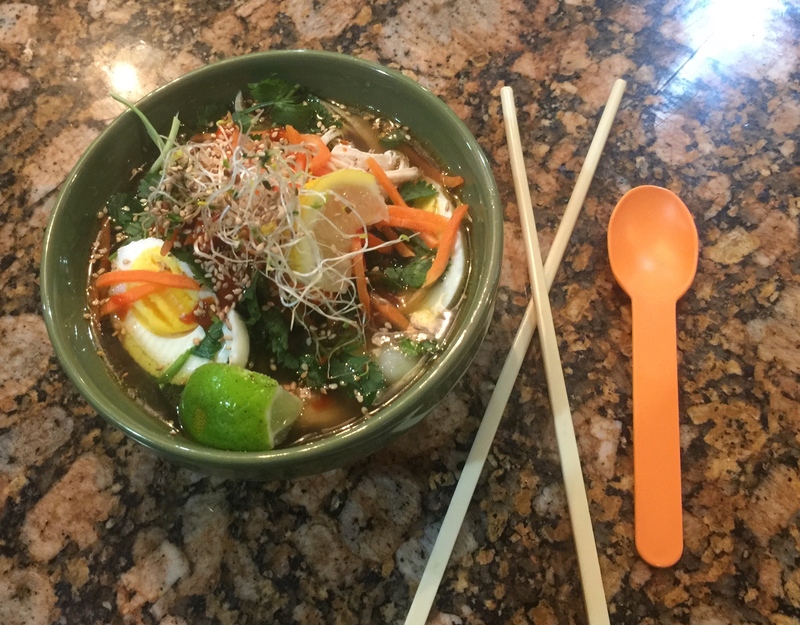 Pho is one of those dishes I love (Cioppino comes to mind) that just isn't practical to replicate at home when you can drop $15 after tax and tip to enjoy with all of the fixins. I make both at home myself because I can't find either worth a damn in any restaurant in this part of the country. Now, I haven't tried Pho in the SE Louisiana area though. I know there is a large Vietnamese population there. The most important part of Pho is the broth. Nail that, and you nailed the Pho. Cioppino as well to some extent, but the type and quality of seafood also matters. But I bet if you stuck with it and really figured it out, you could do the broth in massive batches and freeze it in a way that would be both economically and chronologically effective. You can get spice packs from Amazon here. 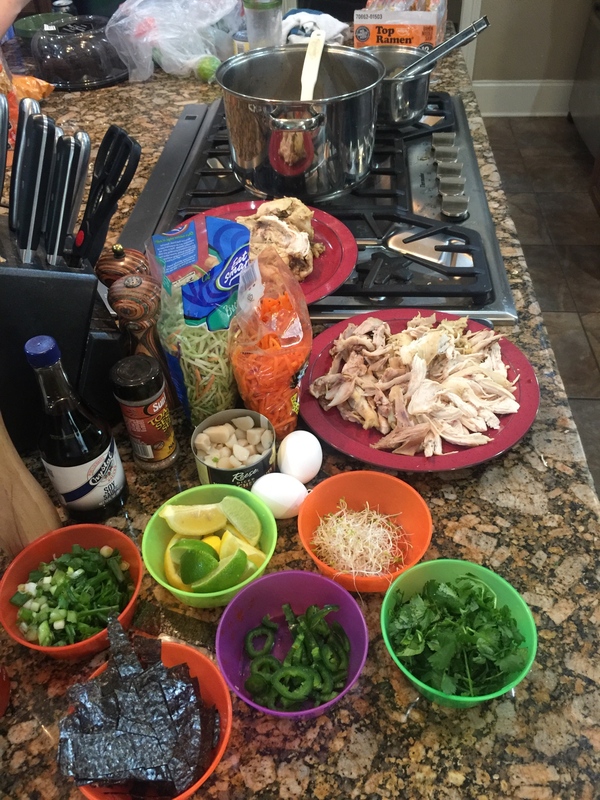 I then use this recipe Serious Eats Pho. I don't follow their recipe exactly, as I only use ox tails and beef bones I get at the local market here. Otherwise it's pretty much the same, and as I said the spices come pre-divided in packets I get from amazon. Just open and dump. Meanwhile I put a lean cut of meat (eye of round, top sirloin, etc.) in the freezer. When it gets close to serving time, I pull the meat and cut super thin slices. Then follow the rest of the presentation with noodles, herbs, fish sauce, etc. Super easy and most of the time is the broth, which you're not actively cooking. Just making sure the water is topped off. Four quarts, so quite a bit left over to freeze. Then just reheat the broth and add your noodles, herbs, and meat. ETA: One thing I did find is you really need Thai basil. Sweet basil just doesn't give it the same flavor. Which is why I'm growing Thai basil this year.